Rarely does a second generation hold the convictions it has inherited with a fervour equal to that of its fathers, who fashioned these convictions in the heat of conflict and at the risk of martyrdom.” The children and grandchildren of those who had experienced the miracle of the changing of beer into furniture did not necessarily enjoy the same kind of vital conversion experience of their own. They grew up within the world of the Salvation Army and it was their familiar sub-culture, but they did not necessarily inherit the evangelical imperative. Many found the sub-culture restrictive and they began to slip away." 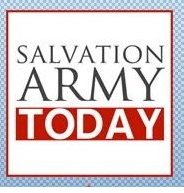 "You will witness how God intervenes (and grips) the Salvation Army and how you as an army will achieve things you never thought would be possible." 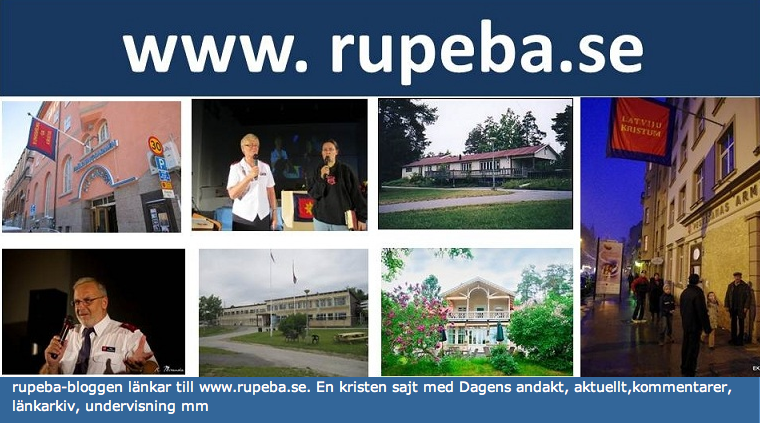 RUPEBA is one of Scandinavia's most visited Christian blog sites, and is the product of a Salvation Army officer, Lt. Peter Baronowsky. He is a son of the regiment, his parents having served as SA officers until their retirement. 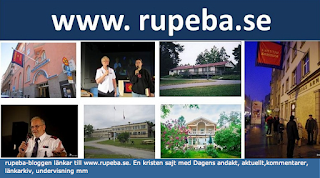 Peter and his wife Rut, hence the blog title RU PE BA, served as teachers/administrators at the Army's Jeloy High School in Norway before returning to Sweden and establishing a number of in-house training programs. And concurrently, a SA house church with a steady increase of interested persons joining the fellowship, becoming soldiers and some moving on to officership. 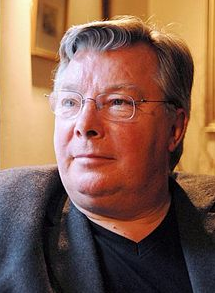 Both are prolific writers and between them have authored scores of articles, booklets, study guides and many books. As they entered into their sixties they felt called to officership, were ordained and commissioned to command the SA work in Latvia. 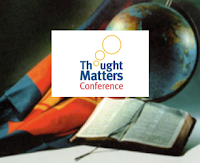 Now retired, since December 2012, their considerable Salvationist influence continues unabated; lecturing, preaching, leading Bible weekends at home and abroad, daily blogging, and added this week, a pod and webcast site. the below was his feature article. Vision for the Lost or Lost Vision: William Booth's Legacy PART ONE.